A collision of Austrian hospitality and passion for flavour our menu is inspired by the seasonal local produce of our region and global trends, contemporary eating fuelled by local heritage. 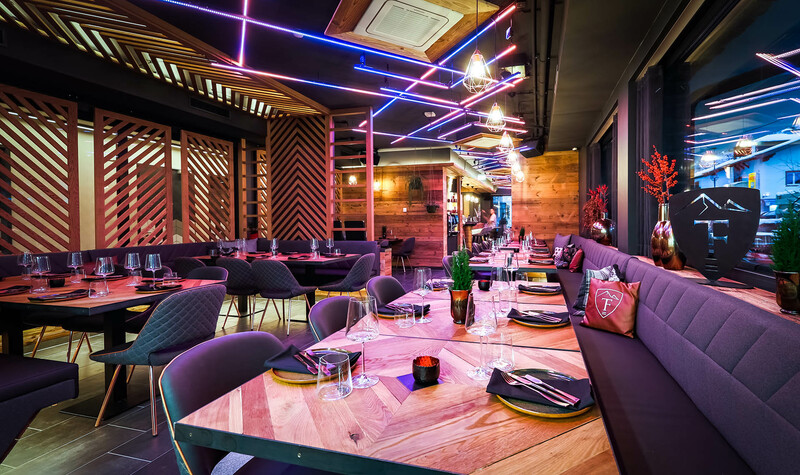 The in December 2017 opened 24 kitchen & bar restaurant in the center of Kaprun combines breakfast with lunch, brunch with afternoon cocktails & turns into a steakhouse with a hip bar in the evening. The menu is inspired by seasonal, local produce and global trends. The interior combines urban atmosphere with alpine lifestyle. Enjoy a tender local Wagyu steak renowned for its excellent taste and ultimate juiciness. The wagyu steak is served with crispy vegetables, freshly prepared on a Josper grill and is given a unique taste by the aromatic fine wood smoke. Sushi lovers will not be disappointed as 24 kitchen & bar has their own ‘alpine’ sushi starter. When dining in 24 kitchen & bar don’t forget to taste a stew from the 24 hours casserole and one of their 24 signature desserts. The open kitchen is an absolute highlight for me, in which our chef acts as a direct host. In the summer chilling on Kaprun’s most beautiful terrace is announced with good sound. passion, love, curiosity: in the mix!